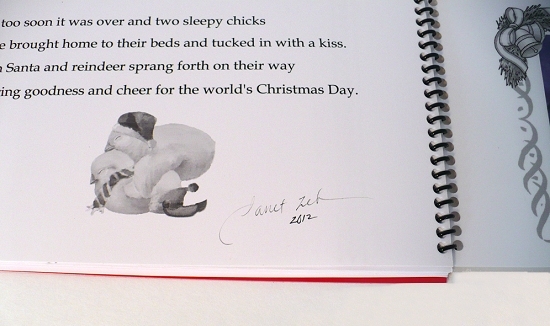 Zehland Stories and Animal Art for Children: 2013 Zehland Calendar and Christmas Book! 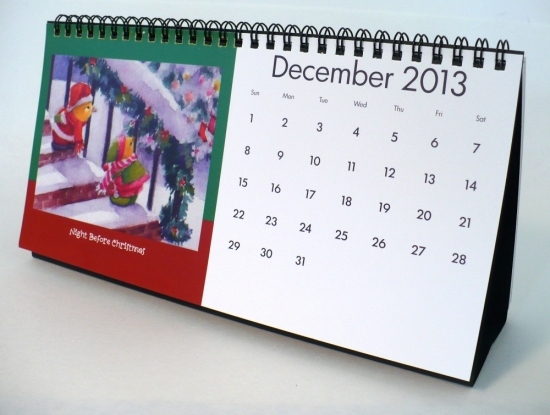 2013 Zehland Calendar and Christmas Book! Whee! 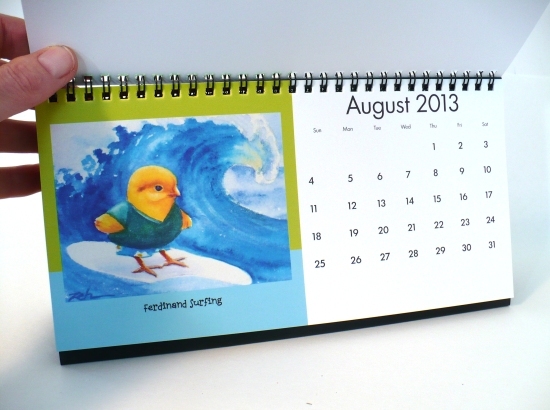 Time for a new calendar! 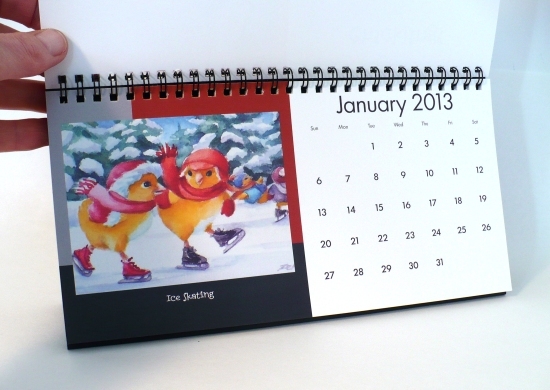 Ferdinand and Nina romp through the new year while smiling at you on your desk. 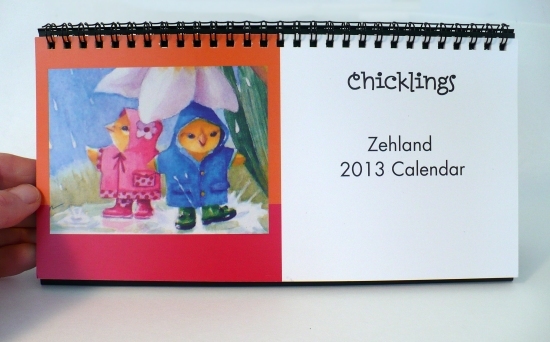 Chicklings Zehland calendar will make you smile back from January to December. It sits on your desk, once you fix the bottom (so some assembly required, but not much). 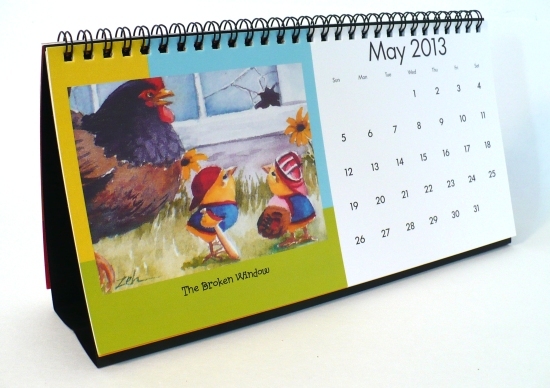 And all the other months - each with new Chickling images from this past year. Treat yourself to some fun for this coming year! 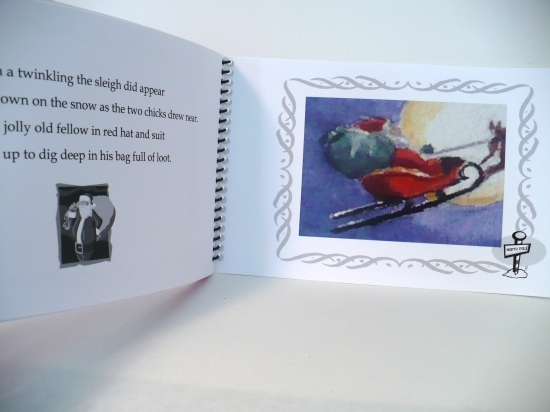 Inspired by one of my art students who clamored for a book of my new poem, I have made a handmade book that is all 12 stanzas of my Christmas poem entitled, "Ferdinand and Nina's Night Before Christmas". 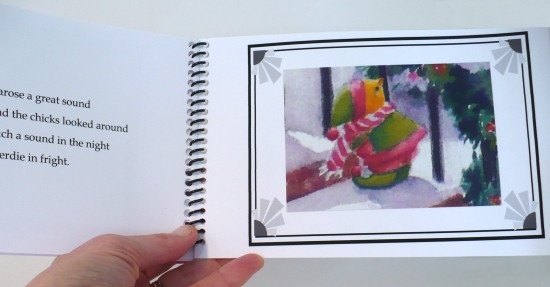 This book was handmade by me! 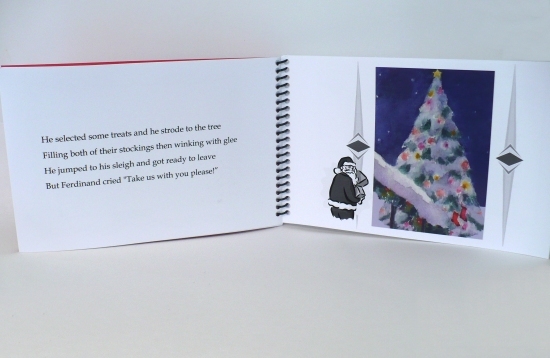 See you by the Christmas tree tonight on Etsy!